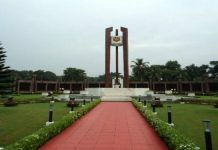 Barasat: From being an importer of illegal firearms from Bihar, over the last few years Bengal has become a hotbed for illegal firearms manufacturing units exporting their products as far as to Bangladesh. 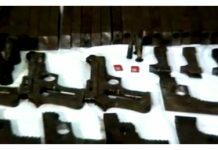 This is what has specifically come to light after Kolkata Police busting an illegal firearms manufacturing unit at Agarpara in North 24-Parganas. The unit was running in a bi-storied building next to a garment shop at Agarpara’s Ushumpur locality. 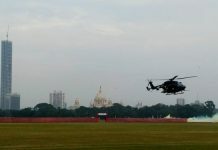 Acting on a tip-off, the Special Task Force (STF) of Kolkata Police raided the building this noon and busted the firearms manufacturing unit that was running in a room on the ground floor. Police have so far confiscated a few welding machines, 62 finished iron frame of pistols, and other apparatus that are required to make firearms. Three persons, including Kalachnad Pal, the owner of the building, have been detained for questioning. Pal, who runs a garment shop named Soma Cloth Centre in the building, has told police that he rented out the ground floor room to one Pappu Khan of Kamarhati again in North 24-Parganas district. He took it on rent for an iron fabricating unit. But police say that Khan was actually running an illegal firearm manufacturing unit by employing three-four workers from Bihar. Only the iron frames of pistols were being manufactured here. The frames then used to be sent to another unit at Kankinara in the same district for fitment of bullet chambers, etc. 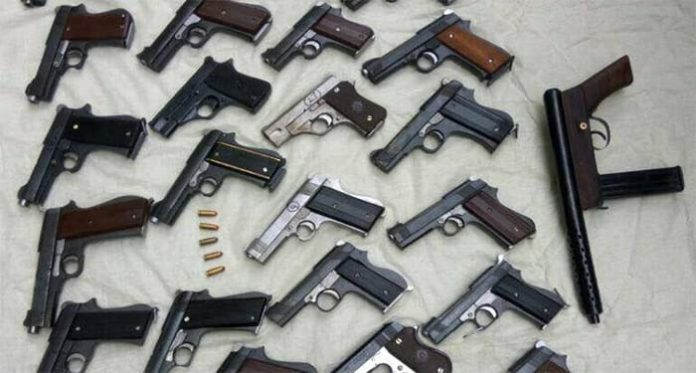 Once the pistols were ready for use, consignments used to be sent to Kaliachak in Malda. The handlers then used to send them to Bangladesh for used by miscreants and ultras in that country.